In November 2017 we marked the centenary of the Balfour Declaration. It was to usher in 100 years of settler colonialism in Palestine. The parallels between the apartheid nature of Israel and South Africa – both settler colonial projects in their origins – are clear. Palestinian campaigners have long condemned the Balfour Declaration as a pledge issued by a British government that gave away land it did not own. In 2017 the British Government rejected a Palestinian request for an apology over the 1917 Balfour Declaration. Instead, it celebrated the centenary. It explores exactly how and why the origins of Israel and South Africa have parallels and how it was that they both came to have ‘apartheid’ at their heart. You can read more in our MAH article ‘Balfour Declaration –Settler Colonialism 100 years on https://makeapartheidhistory.org/2017/04/27/balfour-declaration-settler-colonialism-100-years-on/. This year’s November 2nd marks the centenary of the Balfour Declaration of 1917. It signifies 100 years of suffering of the Palestinian people and the colonisation of their land. This short letter had no legal status, but was later incorporated within the terms of Britain’s Mandate for Palestine. Thus it became one of the most significant documents leading eventually to the creation of the state of Israel and the on-going quagmire of the Israel-Palestine conflict. From the outset the Declaration was controversial, and almost all the opposition came from within the Jewish community itself, because very few Arabs were even aware the existence of such a proposal. The Declaration was seen largely as a means for diverting Jewish immigration from Britain to Palestine. The most prominent British Jewish politician of the day, Sir Edwin Montagu, opposed it vigorously. Later, when the language of the Balfour Declaration was included in the Mandate for Palestine, the House of Lords voted to reject this in a motion passed by 60 to 29, on the ground that the Declaration was opposed to the “wishes of the great majority of the people of Palestine”. Israel/Palestine, created as a consequence of British Colonialism, was formed in a similar to the South African state and both have segregation, ‘apartheid’ at their heart. Looking through this lens, Palestinians are learning lessons from the South African struggle. 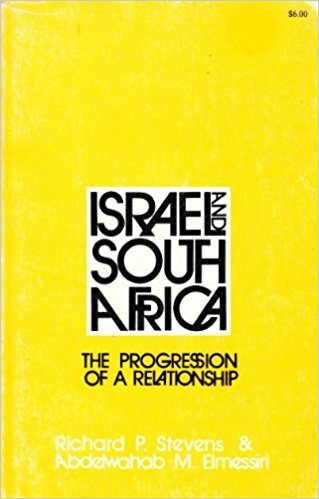 In 1976 he (Elmesseri) wrote Israel and South Africa: The Progression of a Relationship, one of the earliest works to compare Zionism with Apartheid. (Abdelwahab M. Elmessiri (1976), Israel and South Africa: The Progression of a Relationship, (New Brunswick, NJ: North American). He pointed out that both began from different origins as settlement enclaves. These were to serve Western interests on multiple functional levels in exchange for support and protection. … Arthur Koestler summed up Balfour’s perfidious legacy as follows: “One nation promised a second nation the land of a third nation.” And that was grabbed with ferocious barbarity in 1947-48. The year 1948 was one of the darkest for both the Palestinian and South African people; truly an annus horribilis. For South Africans May 1948 marked the election of the apartheid government and the prelude to a 46-year maelstrom for the African people. For the Palestinians May 1948 marked the Nakbah – the catastrophic dispossession and ethnic cleansing at the hands of the rampant Zionist project. (Ilan Pappe (2007), The Ethnic Cleansing of Palestine, (Oxford: Oneworld). Over 750,000 Palestinians were forcefully expelled from a land they had inhabited from antiquity; with some 500,000 managing to remain behind in spite of the terror unleashed by Zionism. Whilst apartheid South Africa has been replaced by a democratic unitary state, the suffering endured by the Palestinians worsens year by year. Of course, the regimes of apartheid and occupation are different. Apartheid South Africa was a state that practiced discrimination against its own people. It sought to fragment the country into white South Africa and black Bantustans. Its security laws were used to brutally suppress opposition to apartheid. Israel, on the other hand, is an occupying power that controls a foreign territory and its people under a regime recognised by international law – belligerent occupation. However, in practice, there is little difference. Both regimes were/are characterised by discrimination, repression and territorial fragmentation (that is, land seizures). Israel discriminates against Palestinians in the West Bank and East Jerusalem in favour of half a million Israeli settlers. Its restrictions on freedom of movement, manifested in countless humiliating checkpoints, resemble the “pass laws” of apartheid. Its destruction of Palestinian homes resembles the destruction of homes belonging to blacks under apartheid’s Group Areas Act. The confiscation of Palestinian farms under the pretext of building a security wall brings back similar memories. And so on. Indeed, Israel has gone beyond apartheid South Africa in constructing separate (and unequal) roads for Palestinians and settlers. Apartheid’s security police practiced torture on a large scale. So do the Israeli security forces. There were many political prisoners on Robben Island but there are more Palestinian political prisoners in Israeli jails. Apartheid South Africa seized the land of blacks for whites. Israel has seized the land of Palestinians for half a million settlers and for the purposes of constructing a security wall within Palestinian territory – both of which are contrary to international law. Starting by recognising that Israel, like the former South African state, is an apartheid state, it becomes clear there will not be a ‘solution’ to the Israel-Palestine conflict until the Apartheid ends. The Anti-Apartheid Movement of the yesteryear was integral to the end of the South African apartheid. The international BDS (Boycott, Divestment, and Sanctions against Israel) movement is going from strength to strength. Together, through international solidarity and pressure o n many inter-connected fronts (academic, cultural, economic) we can rise to the call by Palestinian civil society for BDS and, finally, Make Apartheid History once and for all.